We are sharing this post by foster and adoptive parent Amy Monroe about the importance of confidentiality when it comes to your foster or adoptive child. This is a great reminder that some things are meant to remain private, and it’s easy to let something slip without a second thought to the consequences. We’ve all done it. I dare say there is not an adoptive or foster parent alive that has not had that sinking feeling as they walked away from a conversation, hung up the phone, or re-read their online post after it had already been “liked” 30 times. It’s that uneasy realization that you said too much about your child. You shared more than you should have (we call it “oversharing”), and now you wish you could take back those details, that personal and private information so apt to be misunderstood or even misused. But you can’t, or at least not easily. So what is a parent to do? The first thing may be obvious, but I’ll say it anyway. Be thoughtful, be careful, and be intentional about what you share, how you share, and with whom you share – before you share it. When it comes to oversharing, prevention truly is the best medicine. Always remember that it’s your child’s story, and you are their trusted guardian. So be a good guardian of their story. And remember that your focus is not on keeping secrets, but rather maintaining your child’s privacy. Jayne Schooler talks about this in her book, Telling the Truth to Your Adopted or Foster Child. She points out that there is a big difference between keeping secrets and maintaining privacy. In short, secrets shame but privacy protects, and protection is what we desire for our children. We want to protect them and their privacy, and eventually empower them to understand their own history and have the tools to determine if, how, when, and with whom they will share their story. Second, be willing to acknowledge that this is a big deal. That doesn’t mean you should drown in guilt about having overshared, or beat yourself up and be afraid to ever talk about your journey to anyone, anywhere. After all, God is writing a story with your life and you should tell your story. But too often our initial reaction on sensitive subjects like this can be one of defensiveness, and this can lead us to minimize the importance of not oversharing. Remember, this is not about pointing a finger of blame at yourself or others to heap guilt about using Facebook or having conversations with friends about the adoption journey. It’s about learning what it means to be faithful parents…faithful to love our children in the unique ways that their unique histories and unique needs demand. So maybe you are like me and you walked up to the line of “too far” and accidentally crossed it and overshared. Maybe you’ve stepped over that line so many times now it is hardly noticeable at all. Or maybe everyone you run with routinely crosses that line and so you’ve convinced yourself that it does not or should not exist. Or maybe you were simply never aware that any such line even existed. Only you can determine where that line of what to share, with whom, and how exists for you and your child. But let’s agree together that there is (or should be) a line and that it is important, and then let’s commit to really wrestle to determine where to draw that line (recognizing that line may move as your child gets older). Read some books, watch or listen to some presentations, thoughtfully consider the questions that Michael and Melanie suggested, and talk with your spouse and seek out experienced adoptive and foster parents who themselves have wrestled with this subject. Above all, pray and seek God’s guidance to help you discern how to faithfully love and protect your child and his story. If you know that you have already shared too much, be willing to acknowledge that too. And, commit to take tangible steps to make it right. Maybe that means it’s time for a “spring cleaning” of sorts by deleting or editing some old posts on your blog or Facebook page. Maybe that means it’s time to recruit grandparents, members of your extended family, and close friends who know private, sensitive details about your child’s story to make these people official co-guardians of your child’s story. Explain to them what you’ve learned. Help them understand that this is not about keeping secrets but rather it’s about protecting your child’s privacy. Help them see that they have an important role to play. We’ve had these types of conversations with family and friends, and we were very encouraged by their understanding and desire to help us love our children well. Finally, never forget that grace and forgiveness are available. I’m convinced that one of the greatest gifts I can give my children is to humble myself when I have wronged them and genuinely seek their forgiveness, and then do my part to repair the relationship. As my kids have gotten older there have been times when I’ve been too liberal with their story in answering a question from a stranger. There have been times I have failed to ask their permission before sharing with others about an example of something they are struggling with or the type of help we are utilizing. In these times I’ve had to admit I crossed the line and I had to seek their forgiveness. Is that hard for me? Absolutely. Is it important? More than I’ll ever know. Maybe you, like me, have broken trust with your children by oversharing. If they are developmentally mature enough, consider sitting down with them, acknowledging what you’ve done, seeking forgiveness, discussing together where the line should be, and helping them see – in both your words and actions – that you are committed to love and protect them (and their story) as you walk this journey together. Posted in: Adoption, Behaviors, Communication. You have found yet another disturbing drawing, 40 chewed up crayons, a collection of food under the bed or a pile of missing homework from last school year and you cringe! The next time your friend or neighbor tells you that adoptive parenting is the same as parenting any other child, you will be ready to put your boxing gloves on. Of course I am approaching this with humor because if I don’t and you can relate to this article, you just may cry. BREATHE! The precious one in your care via adoption or foster care was put in your care for a reason. You were trusted with their tender hearts. As a child I remember being a complete perfectionist. If I messed up on a coloring page, I needed to start on another sheet of paper. There is no way that I could move forward and create something beautiful after making that mistake. Many times people treat foster children and adopted children as if they are damaged goods. They act as if something beautiful cannot come from an imperfect beginning. They were created by God to do something great. There may be a few bumps in the road along the way but they can absolutely be all they were created to be. Many times when you experience odd behaviors such as food hoarding, self-induced injuries, stealing or extreme introverted behavior, they are the effect of something much deeper. Parents usually try to attack these things in anger and with traditional ways of discipline. This may not work! The outward showing of inward pain can be hard to pinpoint. You may ask, “Where in the world do I start?” The healing must begin now and you as a parent can help to facilitate that, no matter how long it may take. 1 Make sure that you have as much information about the family structure, situation and experiences as you can. Sometimes there is limited information with children who have been abandoned or in some orphanages. You have to gather as much info as you can to understand what your child has experienced and what possible behaviors may result from it. 2 Keep in mind that many children who have experienced trauma of any kind, do not know why they act out in the way that they do. As they grow, begin to teach counteracting habits and ideas to help them understand a healthier way to respond to things such as anger, hunger, sadness and neglect. 3 Teach and show your children that you are always available to talk about their feelings and meet their needs. 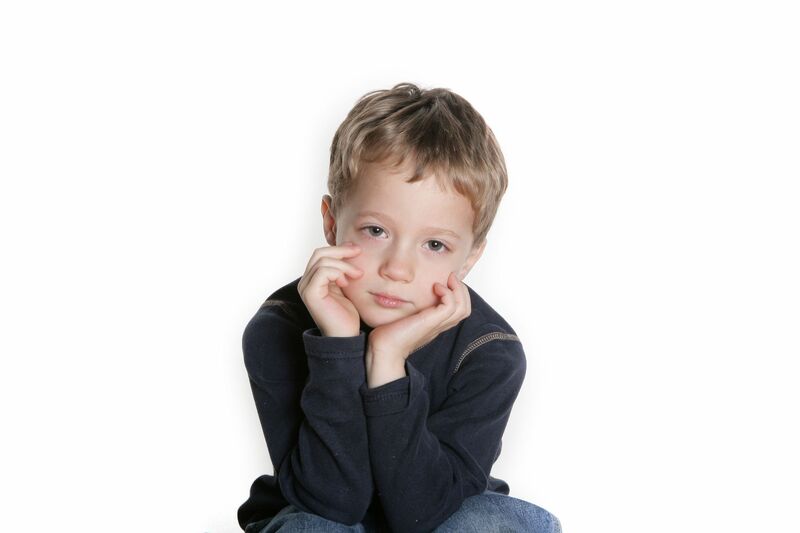 Many times children that have experienced trauma respond in one of two ways. They either depend completely on themselves and refuse to ask for help or appear needy OR they will become completely dependent on others and thrive off of the constant attention. Both are unhealthy and as a parent you need to pay close attention to how they are responding to the world around them. 4 Get them help, if needed. If you feel overwhelmed and that you do not have the knowledge to help them through a particular issue, then contact your nearest counselor to help. Being a Christian, I obviously would suggest someone who is familiar with handling emotions and psychology from a Christian perspective. 5 Try to focus on things that are new, fresh and life-giving. You cannot ignore their past or the result of their past. However, giving them a future to look forward to sets them up for the mindset that life can be different. 6 Give them time! Give yourself time! If your child suffered months or years of abuse, neglect, hunger and sadness, do not expect it to go away as soon as the adoption is final. It is a process. They just need to know that you will be there throughout the process no matter what! Parenting is not the easiest job on the planet, but it is the most rewarding! If you have chosen to raise, love and nurture a child through the precious gift of adoption or foster care, then be encouraged that you can do this! Just because a child has a few bumps in the road or is acting out, does not mean that they are to be discarded or ignored. They need you and you are the RIGHT person for the job! Adopted children do not consciously choose to be emotionally guarded or withdrawn. Their struggle often stems from neglect or abuse early in life. Some children may come into their adoptive family with a profound sense of loss and fear of being vulnerable. For others, multiple foster-home placements or years in an orphanage impede their belief that adults really care about them and will love them consistently. Many of these children truly have lost their voice. Be a model.Because children learn by example, parents should begin by modeling what sharing thoughts and feelings looks and sounds like. Parents must be vulnerable and transparent about their own feelings, thoughts and experiences so that their children learn how to be vulnerable and transparent as well. Don’t edit the story. When children feel comfortable sharing painful experiences and memories, they may first give shallow, glossy or even rosy stories about their histories or early caregivers. Parents must resist the temptation to edit or correct. The goal is to provide a blank slate on which children can record their feelings, memories and stories. If parents fully support their children’s first attempts at telling their stories, their children may eventually have the courage and trust to share deeper feelings. Let them lead. Above all, parents should let their children choose the depth and pace of their disclosure. Adopted children often start talking about one topic and then veer dramatically into another topic when they feel anxious. Parents should not press for more than their children are willing to give during these times. Feeling heard and understood is one of the most powerful gifts parents can give to their children. A parent’s loving persistence in overcoming hurdles can deepen the parent-child attachment as well as enrich the child’s sense of safety and trust. When parents create a sense of safety by their caring, consistent presence, they help their children find the strength to share what’s truly on their hearts.